Grow your business with professional email marketing campaigns. All you need to know in 8 simple steps. Email marketing is one of the most cost-effective and important tools in a digital marketer’s arsenal. Find new leads, deepen the connection you have with your customers, and drive sales and revenue. In this 8 step guide, we give you a comprehensive set of instructions to conceptualize, create, and implement your next email campaign. We hope you enjoy! Before implementing your next email campaign, you should have specific goals about what you’d like to achieve. Email marketing is almost infinitely customizable, which is great because it lets you use it however you’d like. But it can be a bit overwhelming, too, if you’re not exactly sure what you’d like to achieve. Therefore, you need to ensure you jot down ideas and take your time to plan your strategy carefully. Make sure that the goals for your next email marketing campaign are specific, measurable, and bring a clear benefit to your business. This will help you analyse the success of the email campaign, and will help you decide exactly what you’d like the campaign to achieve. If you’ve just published a new product brochure, blog post, or case study, email is an excellent way to share it. Content-based campaigns are a natural fit. Distribution costs are low, and internet users are content-devouring machines. Some of the best email campaigns that we’ve seen rely on great content. 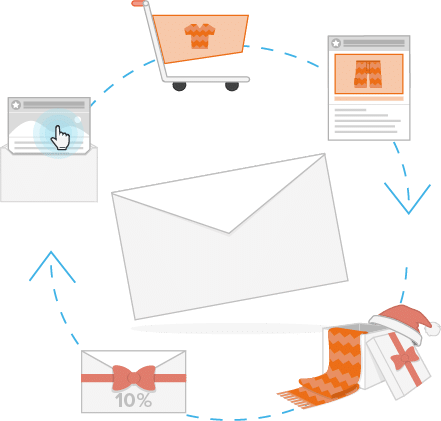 Email marketing campaigns that seek to drive revenue usually contain product recommendations and/or specialized discount codes. Use product recommendation technology to put your best products in front of those most likely to buy them. Incentivize impulse purchases using exclusive discounts. Email campaigns can also be unique branding opportunities. Share a recent corporate social responsibility, a customer success experience, or simply tell stories about yourself that you think will connect and resonate with your customers. Some of the best email campaign examples aren’t trying to drive sales: they’re all about building the brand. Before you get started, it’s a good idea to look at existing email campaigns for guidance. Firstly, it helps to see what the competition are doing – so you can try to come up with something unique. Secondly, it helps to see what works and what doesn’t, and to use this research to inspire your own campaigns. Now that you’re in the planning stages of your next email marketing campaign, we’ll assume that you’ve already built an outstanding email list. If you haven’t, you can learn how to build an email contact list here. And because we can’t say it enough: it is never a good idea to buy email lists! Now that that’s out of the way, let’s talk about segmenting your contacts. What we mean here is assigning your contacts identifying traits like gender, age, or purchase history. The next step is to segment your contacts into groups based on these traits. Make sure that the email campaign software that you’re using includes this feature. This makes it possible for you to tailor your mailings to specific target groups. Instead of sending generic emails to all of your contacts, you’ll send highly relevant messages to the people who are most likely to find them useful. Automated email campaigns can be even more effective than non-automated campaigns. They can lead to more people opening your emails, clicking on your content, and making purchases. 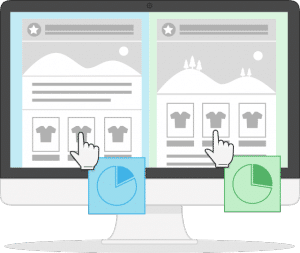 Using automated product recommendation tools, you can ensure that customers will be shown products that they’re more likely to buy. If Customer A has bought Product X, and lots of other customers who bought Product X also bought Product Y, then it makes a lot of sense to send Customer A an email with product information about Product Y. Depending on which email campaign software you’re using, these recommendations can be generated automatically. People love great content. Blog posts, researched case studies, or technical how-to guides perform very well. Take your campaign to the next level by sending planned sequences of content over the course of several days or weeks. This keeps people’s attention without being overwhelming, and empowers you to create a curated content experience. Now that you’ve got your groups happily segmented and your automated email tracks planned, it’s time to get started creating awesome mailings. No matter how great your segments are or how innovative your automation plans, your campaign can’t be successful without well-designed, great-looking emails. Above the fold: Put your best content at the top of your mailings, so people don’t have to scroll down. Use images: Images, logos, photos, and other media increase the effectiveness of your email campaigns. But don’t use too many! An image-only email not only looks a little weird, but it’s more likely to get flagged by spam filters. 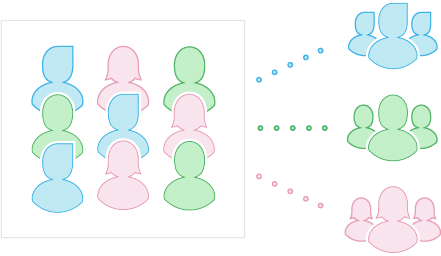 Personalization: You’ve grouped your contacts into segments. Now it’s time to put that into action by sending highly personalized emails. Include personalized greetings, content and images. The more personal you are, the more relevant the mailing will be. No clutter: Use plenty of white space. Clutter doesn’t work on your website, and it won’t work in your emails. To get you started, Newsletter2Go offers dozens of free email templates. Later on, you can even build your own! 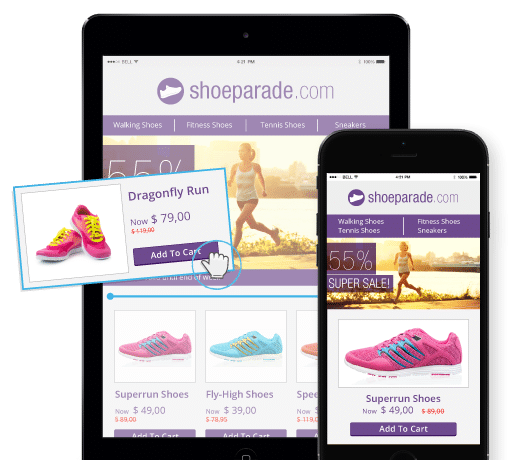 Dedicated landing pages can increase the effectiveness of your email marketing campaign, and can be a great way to not only track conversions, but to bring users onto your website. If your campaign includes a special discount offer, for example, you could build a landing page with more details and information. The key is to maintain consistency: make sure that your landing page is associated with the content in your email. Likewise, landing pages should have the same general design as your email campaign, and should have a clear call-to-action for users to follow. “Download this Whitepaper”, for example, or “Sign Up Today”. Creating dedicated landing pages for each campaign takes a bit of extra work, but it pays off by increasing the effectiveness of your campaign. Email campaign software offers you the opportunity to test the campaign before pressing send. Use A/B testing to try out different versions of your emails on a small portion of your contacts. 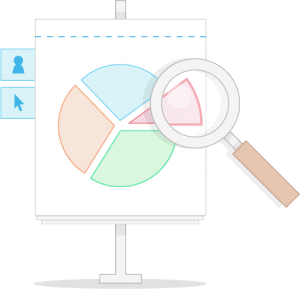 This takes a lot of the guesswork out of creating the campaign, and ensures that your marketing efforts are informed and driven by data, not guesswork. Newsletter2Go’s A/B testing feature allows you to test up to 9 different variants of the same mailing at once. Not only can you test different subjects, sender names and addresses, you can switch out individual images, content and greetings. At the end of the day, you’ll have a very clear, data-driven concept of how the campaign should look. The work doesn’t end after you’ve hit send. The software that you’re using likely offers powerful and sophisticated tracking tools, giving you insights in real-time about your campaign’s performance. In addition to the KPIs, you can use the tracking tools to compare the performance of your email marketing campaign across different groups within your contact list. This will let you know whether women or men found a certain blog post or product more interesting, for example. Other tracking features include geo-location, which shows exactly where your subscribers are opening your emails; click maps, which visually display the links in email campaigns that have been clicked; and integration with analytical tools like econda or Google Analytics. The campaign’s a success! But don’t be satisfied, at least not yet. As successful as your campaign was, there’s almost always room for improvement. Once the campaign has run its course, take a final look at the tracking reports. Take stock of what performed well, what performed decently, and where there’s a lot of room for improvement. If certain products or content produced outstanding results, e.g. tons of clicks and conversions, then it might be worthwhile to make them the focus of your next campaign. These insights can also be brought back into your business. If certain products generate a lot of clicks, then let your product managers know! These types of insights can be difficult to generate without time-consuming consumer surveys. Newsletter2Go is a professional, easy to use email marketing platform that will help you create the best email campaigns. Sign up for a free account today and see for yourself!